Are You A Pharmacy That Administers The Required Vaccination To People Traveling For Hajj Or Umrah? 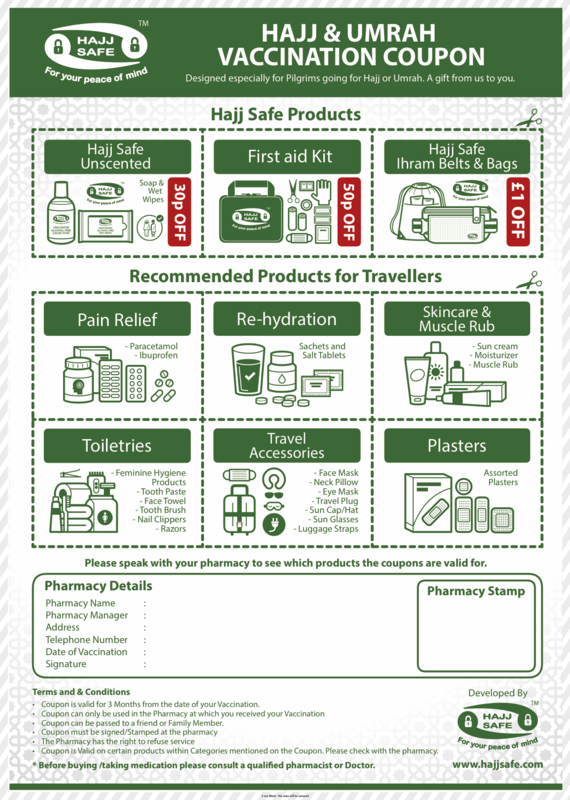 Hajj Safe Have Developed The Hajj & Umrah Coupon Leaflet Exclusively For Pharmacies. This Leaflet Gives Customers Who Have The Vaccination For Hajj Or Umrah The Knowledge To Buy Certain Highly Recommend Products At A Slightly Discounted Rate. 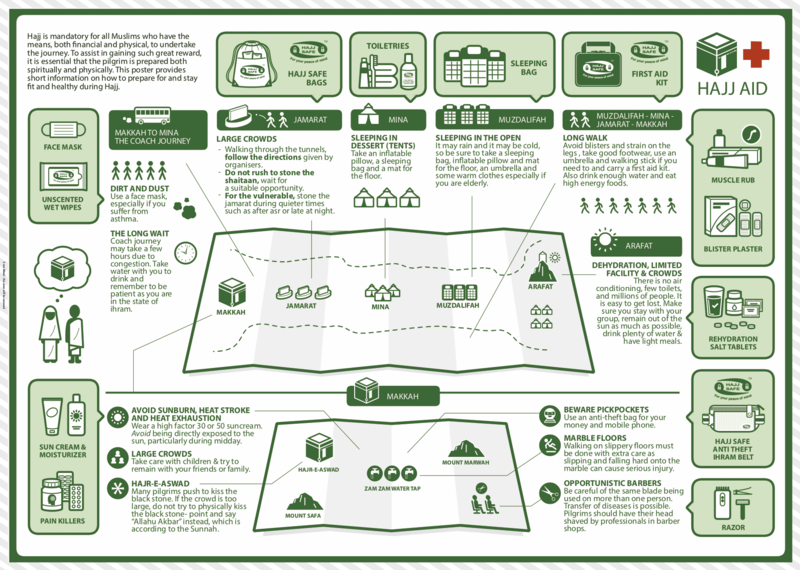 This Leaflet Also Informs The Traveller Of What He/She May Need For Their Travels And Through The Illustrated Map It Shows Them At Which Point They May Need Certain Medical Products. Hajj Safe Have Found That Pharmacies That Give The Vaccination Are Missing Out On Further Sales And Passing On Vital Information To The Pilgrims. This Coupon Means That The Customers Will Get A Discounted Rate On These Products If They Buy Them From The Pharmacy They Initially Had The Vaccination At. Have Found That Pharmacies Who Used This Coupon And Hajj Safe Products Have Increased Sales, Increased Customer Satisfaction, And Increased Awareness Of Health & Safety During Hajj Or Umrah. Hajj Safe Has Traded For Over 5 Years, Sales In Over 15 Different Countries And Over 300,000 People Have Benefited From Hajj Safe Products. We Have Worked With Qatar Airways And Turkish Airlines Developed Trade With Over 150 Different Companies. If You Are Interested In Working With Hajj Safe Please Contact Us.